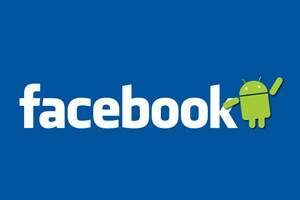 Facebook has recently released an updated version of its Android app, but this update is not merely a refreshed version of it’s predecessor, in fact the new Facebook for Android will act as a distribution centre for other Android apps. This update will help drive additional growth for Android apps by making it easier for users on Facebook to discover and re-engage with their favorite apps on their phone. Where previously native Android apps that used Facebook login couldn’t get distribution through Facebook discover channels, users can now discover native apps directly from Facebook for Android using the same social channels, such as Requests, Bookmarks, and News Feed, that are available on other platforms. Android developers who currently use single sign-on can visit their app settings to enable deep linking. After that, the native app will open when users tap on Facebook stories or requests within Facebook. For example, Spotify users will be able to instantly play songs from their Android devices when they tap on a friend’s listening activity. This recent update is a clear sign that Facebook is aiming to become an important distribution mechanism for developers — mobile web developers, iOS developers, Android developers, everybody who makes apps for phones and tablets. Facebook is, in a nutshell, is giving developers as many options as possible to get more distribution and more traffic through Facebook’s own network — and sustaining their growing importance in the mobile world.